The after Thanksgiving water where I fish is dropping; it is clear as glass; 40F; with bright sun and blue skies. This week was a little tough. Easy wading but the majority of the smallies were in hiding. I did pick up one stranger. About 24 inches. Frankly I wasn't sure what it was. It was an esox. 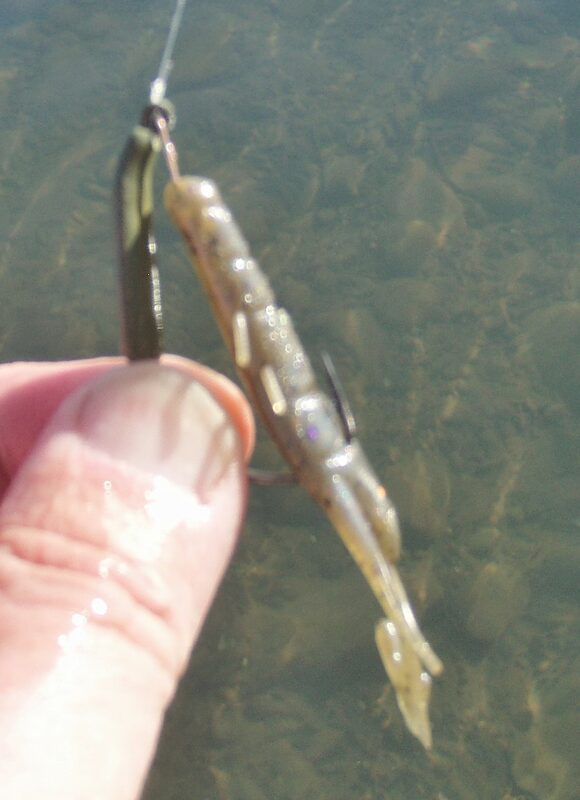 Didn't have the classic bean shaped spots on the sides like a northern pike. Didn't have the vertical bars like a muskie. Markings on the side looked pickerel-ish. 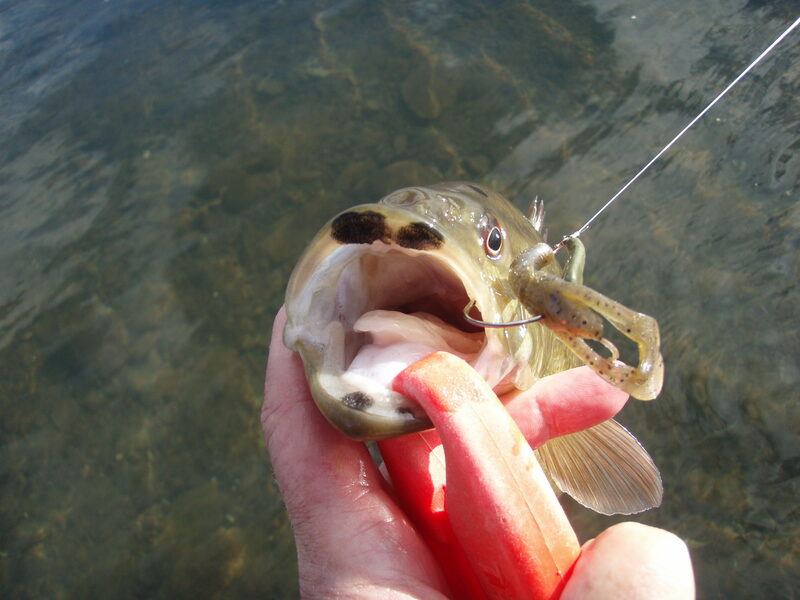 May have been a hybrid pike/pickerel. I don't get these things out of the water or fool much with them because they are stinky and slimy. 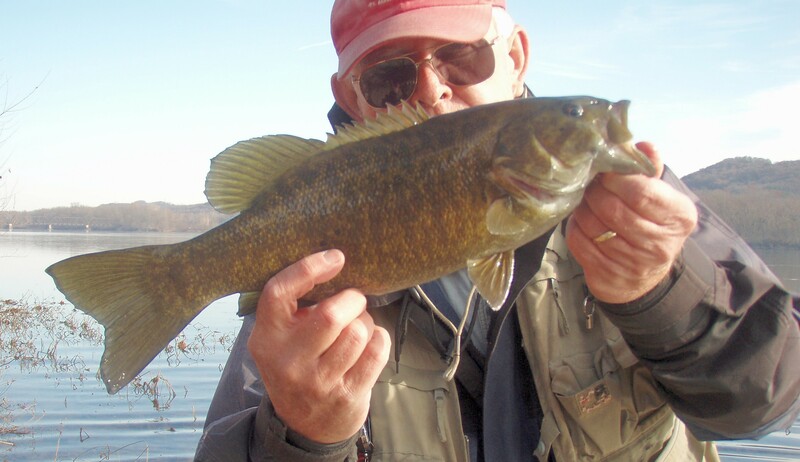 The esox along with the smallies I caught all were tempted by Winco's Baby Predator Craw rigged on a 1/4 oz. 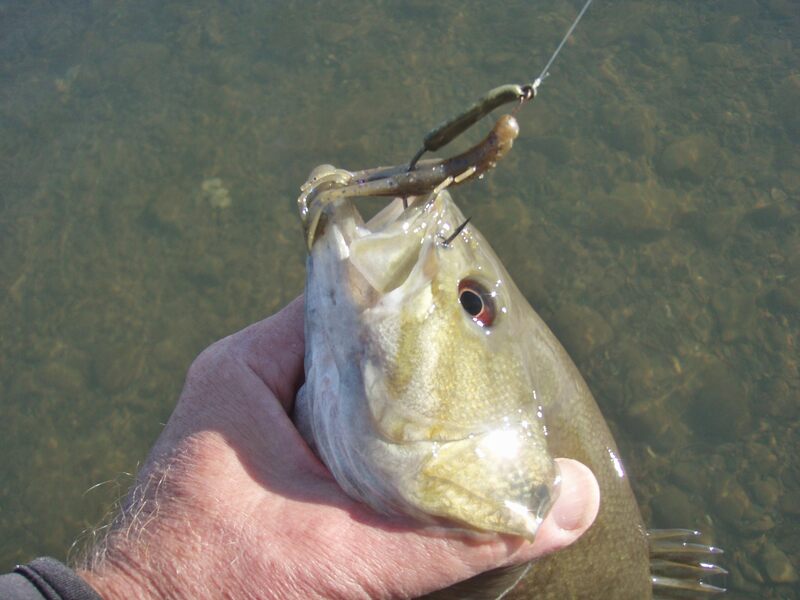 flutterhead or snapgroof jig. The jig has a coil keeper for the head of the trailer. It is designed to flutter to the bottom and present the crayfish in an attack position. The flat surface of the jig makes it a little more snagproof. This one had a 2/0 hook. Don't think I'll be wading much until we get more water. Trouble is we might get ice with it. Oh how I hope we get some warm water from the new power plant. Never saw anything like that. I think I would have had to have something that unique mounted. Oh how I wish it was spring so we get some warm water from the sun. I'll call it a chain pickerel. Don't see many in the river. I got just one a few years ago. The dark tear streak running straight down from the eye is the giveaway. nice catch! How long would you guess? Thanks for the info FM. You are correct. I have learned something new. I never noticed the black line and I have not caught very many pickerel. 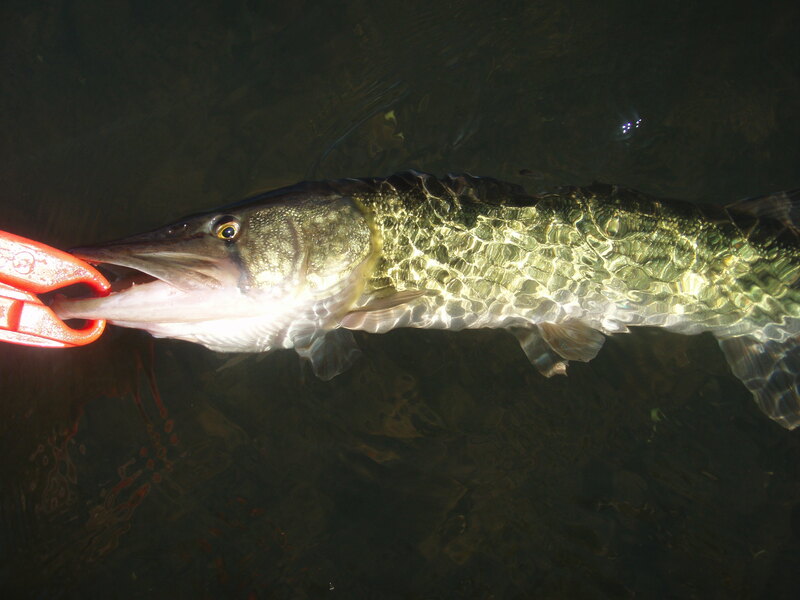 Chain pickerel is exactly what it was (not counting out a pickerel/pike hybrid). T'was at least 24 inches perhaps a little more.